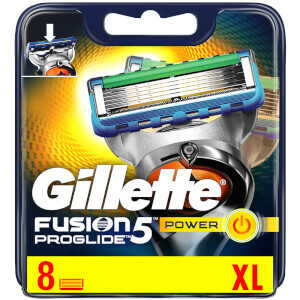 The improved Precision Trimmer built into the back of the cartridge allows you to shave tricky places like sideburns and under the nose. 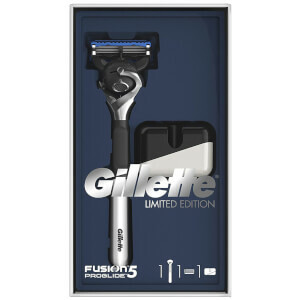 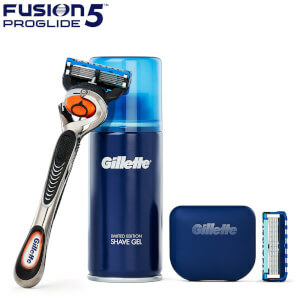 The Gillette Fusion5 ProGlide men’s razor features FlexBall Technology, which enables the razor head to pivot front to back and side-to-side to respond to contours for Gillette´s best shave. 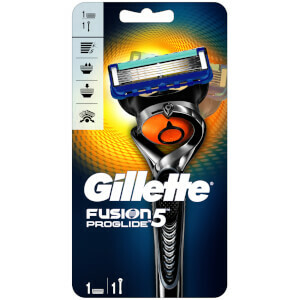 Fusion5 ProGlide has reengineered razor blades with thinner, finer* edges and an advanced low-resistance coating to cut effortlessly through hair.